Disclaimer: We were invited to this event as media. All attendees received a Gift bag at location and a Multifryer via Snail Mail. First off, the event location was pretty Spectacular. Koi Fish Pond under the stair case? BEAUTIFUL! Anyways, You could smell the deliciousness of the food being cooked as soon as you walked in. The first course was a sample taste of some vegetarian Chili. I'm the pickiest person in the world when it comes to anything (as is hubby which is why I think Gabby is the way she is with food), but this looked and smelled too amazing to not try so I did. It was very good and you wouldn't think it was cooked in the MultiFry. Next sample was Chicken and potatoes. 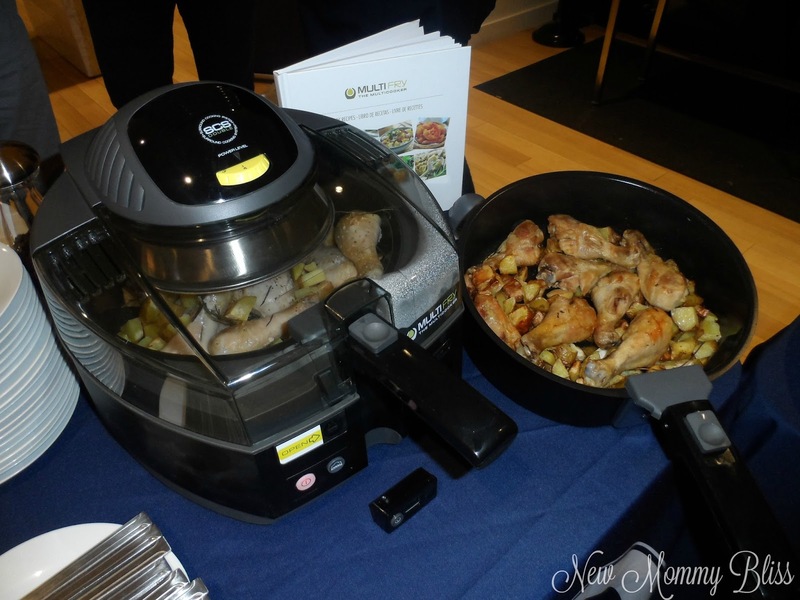 It started out as Raw chicken and potatoes which then transformed into DELICIOUS thoroughly cooked chicken and well done potatoes. If there were a way to offer a sample of this one via web, I'd offer it to all of you. Next up were the crispiest fries I ever did taste from a fryer. These fries were cooked well all over, used minimal oil, and tasted awesome. 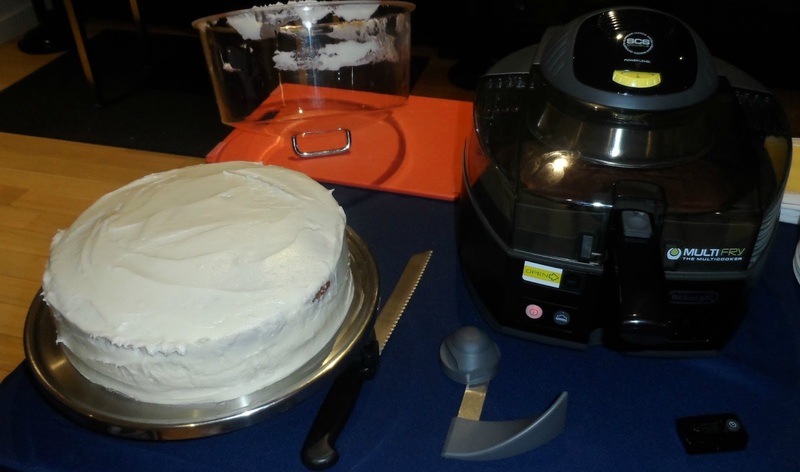 That's right, the De'Longhi MultiFry CAN bake an actual cake! It tastes so good and we really had to see it to believe it. When the party started the reps added batter to a MultiFryer, after about 20 minutes the cake was done. 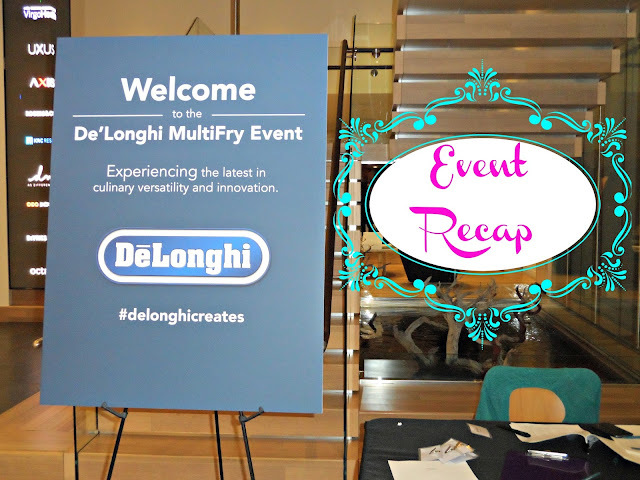 I really can't wait to receive our De'Longhi MultiFryer. Many recipes will be in the works. You just HAVE to get your hands on one. Kenwood is the parent company! Tell Me: Do you own a MultiFryer? What type of recipes do you create in it? I don't own a multi-fryer or even a fryer for that matter but I do own a cooker which can be used as one. 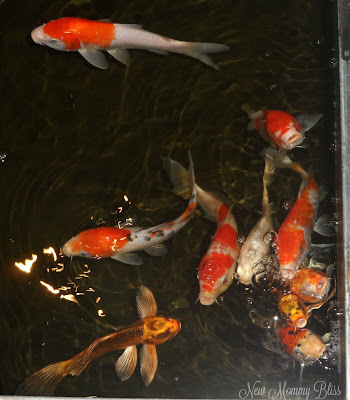 I personally don't like fried foods so tend to stay away from them. 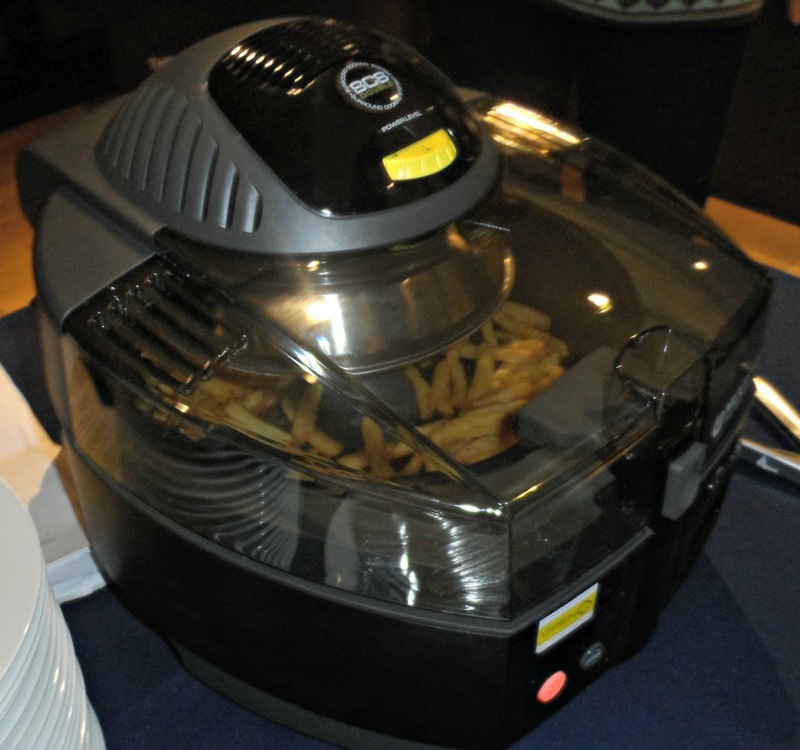 This looks like one amazing fryer though. 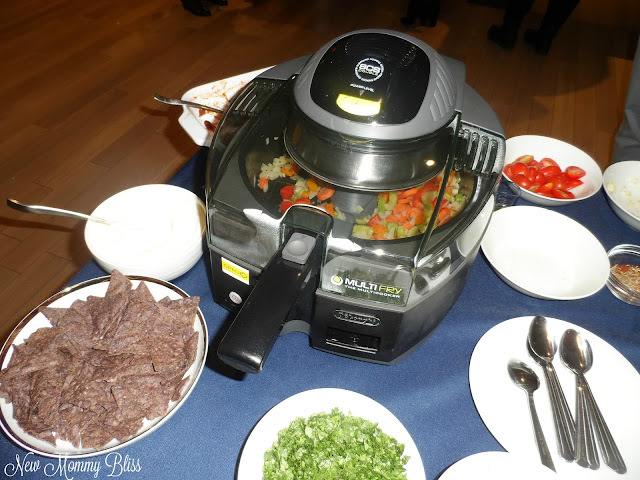 I love blogger events - it's fun to connect with other bloggers and learn about something new. 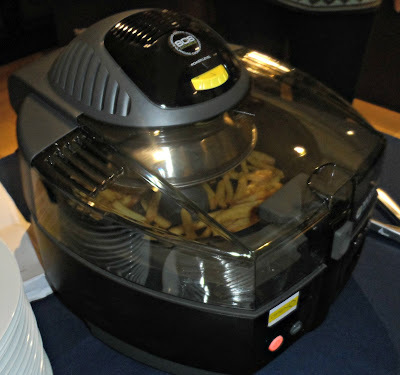 I've never heard of this fryer - but the french fry feature alone makes me want to try it! I'd love to make sweet potato fries, zucchini fries and more (maybe Churros??). This post is very nice. This product is very nice. The food is very delicious to look at. Thank you for sharing the ingredients and recipe. Hope your next recipe will published soon.